The Case Western Reserve University Women’s Soccer Elite Camp takes pride on its quality soccer training program and training facility. It is a 2-day clinic from July 14 to July 15, . It is open to 2018 to 2021 graduating female players. The event will take place in the Field Turf stadium at the North Residential Village of Case Western Reserve University. This program will allow attendees to experience a high-level college soccer training and competition. It will focus on developing the overall technical and tactical capabilities of the participant. In addition, there will also be small sided and full sided matches. The training program will start at 9:00 AM on Day 1 and end at 12:00 PM on Day 2. Furthermore, this training clinic will accommodate both residential and commuter campers. Each registration also includes a camp t-shirt. Case Western Reserve University is a private coeducational university in Cleveland, Ohio. It is a member of the Association of American Universities as well as the Association of Independent Colleges and Universities of Ohio. The university is 37th in the National Universities, edition of Best Colleges rankings. It is also 43rd in the Best Value Schools rankings. Currently, the university’s undergraduate student population is around 4,700. The student to faculty ratio is 11 is to 1. Moreover, Case Western Reserve University has 19 intercollegiate sports teams. They call themselves the Spartans while blue, gray, and black are their identity colors. 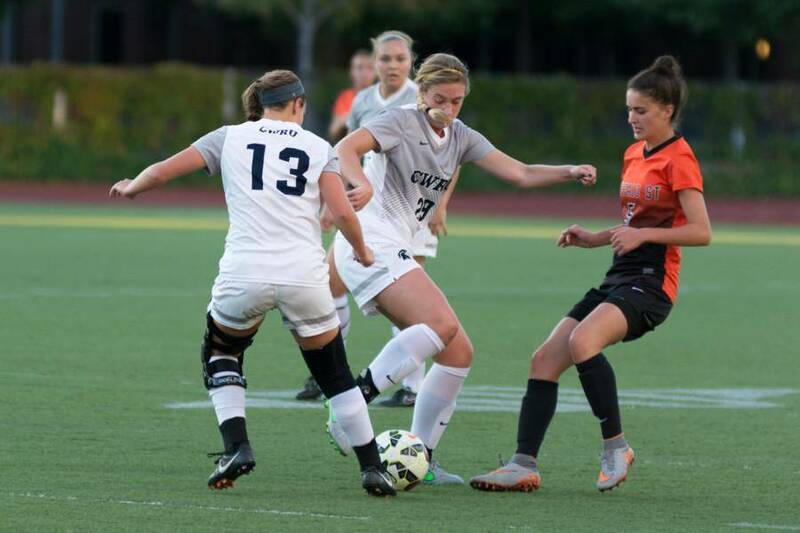 The university women’s soccer team is competing in the University Athletic Association of NCAA Division 3. Tiffany Crooks is the head coach if the Case Western Reserve University women’s soccer since May of 2007. Coach Tiffany Crooks is the 2011 Ohio Collegiate Soccer Association Division III Coach of the Year. During the same year, the CWRU women’s coaching staff are also the UAA Coaching Staff of the Year honorees. The team’s assistant coaches are Eric Lapsansky, Kendra Simmons, and Abbey Smith. Coach Eric Lapsansky is at the same time the team’s goalkeeper coach. The Case Western Reserve University Women's Soccer Elite Camp is a quality soccer training program for 2018 to 2021 graduating female players.